Hong Kong is one of two special administrative regions (SARs) of the People's Republic of China (PRC), the other being Macau. They are a product of history as both cities were former colonies of UK and Portugal, thus developed with different legal, political & governing systems. Hong Kong is a city-state situated on China's south coast and enclosed by the Pearl River Delta and South China Sea, it is renowned for its expansive skyline and deep natural harbour. With a land mass of 1,104km2 (426sqmi) and a population of seven million people, Hong Kong is one of the most densely populated areas in the world. It is six times the size of Washington, DC. 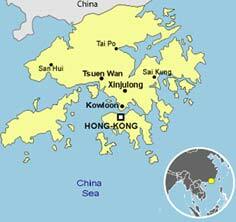 Hong Kong's population is 95percent ethnic Chinese. With the other 5% made up of different nationalities. Hong Kong's Han Chinese majority originate mainly from the cities of Guangzhou and Taishan in the neighbouring Guangdong province. Under the principle of "one country, two systems", Hong Kong has a different political system from mainland China. Hong Kong's independent judiciary functions under the common law framework. The Basic Law of Hong Kong (its constitutional document) which stipulates that Hong Kong shall have a "high degree of autonomy" in all matters except foreign relations and military defence, governs its political system. Although it has a burgeoning multi-party system, a small-circle electorate controls half of its legislature. An 800-person Election Committee selects the Chief Executive of Hong Kong, the head of government. As one of the world's leading international financial centres, Hong Kong has a major capitalist service economy characterised by low taxation and free trade, and the currency, Hong Kong dollar, is the ninth most traded currency in the world. Hong Kong is viewed by many as the gem of the Far East offering the purest form of a capitalist economy in the region. A free market, low taxation and non governmental intervention have seen the economy mushroom over the last 100 years. It now boasts the largest number of corporate head offices in the Asia region, and has the most foreign embassies at 114. Hong Kong is known as one of the Four Asian Tiger economies as it has high growth rates and rapid industrialization over a short period of time.